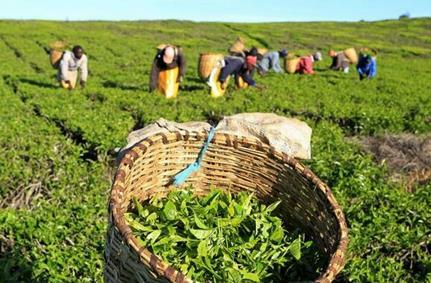 Kenya’s fresh produce farmers on Wednesday (March 27) called on the government to provide a conducive business environment to help make the horticultural sector competitive. “The sector has been adversely hit by the imposition of the 16 percent VAT on pest control products, among other unfavorable conditions, which has made our products more expensive even in the east African region," Ojepat said in a statement issued in Nairobi. “We are lamenting about cheap imports from the neighboring countries like Uganda but we are not asking ourselves how Ugandans are able to produce these goods cheaply," Ojepat said during the launch of the Fresh Produce Consortium of Kenya 2019-2024 Strategic Plan in Nairobi. The consortium has also signed a memorandum of understanding (MoU) with several organizations including the Nairobi chapter of the Kenya National Chamber of Commerce and Industry and International Trade Centre through she trades to help it address the issues related to trade in horticultural products, both locally and internationally. Ojepat said the consortium is keen to have matters that hinder trade in the horticultural sector addressed urgently. “We are keen on ensuring there is market access to products and also that the final products traded locally and globally meet the safety standard," he said. The March 2019 issue of HTA Market Update reports that nationally, garden center sales recovered well this year from last February, which saw the ‘Beast from the East’ cause major disruption. Despite starting off cold, February 2019 was recorded as the warmest February since 1998. The March edition of HTA Market Update issue looks at garden centre sales, overall market performance. The agriculture sector, which employs just under a million people in South Africa according to Statistics South Africa (StatsSA), is calling for a solution to its youth employability challenge. This was a key takeaway from the Youth Employment Service (YES) participation at the recent Citrus Growers’ Association summit held in Port Elizabeth. “Lack of viable and sustainable youth employability solutions was a clear issue for all stakeholders," said Lara Grieve, YES business development manager. “What was clear was that the agricultural sector is looking for a more collaborative approach to the unemployment challenge, bringing government and the commercial players in the agriculture sector together." YES has become one of the highest impact programmes in SA, creating an average of nearly 700 work opportunities every week in the first five months. These opportunities provide unemployed young black people, between 18 and 35 years old, the chance to enter the workforce, gain valuable skills and earn a basic wage. YES youth are equipped with smartphones to learn skills including work readiness, health and safety, financial wellness and more through the YES application. YES also enjoys a strategic partnership with LinkedIn. This means that YES youth can access one of the largest professional networks in the world to build CVs and references that put them in front of potential future employers. YES offers attractive benefits to businesses looking to improve their broad-based black economic empowerment (B-BBEE) scorecard rating. Qualifying businesses can improve their B-BBEE rating by one or two levels, by employing and absorbing young people from YES, in line with the practice note issued in October last year. “Agriculture is an important sector in the South African economy," said Tashmia Ismail-Saville, YES chief executive. She drew attention to the over-concentration of youth looking for work opportunities in Gauteng who found themselves competing with highly-skilled people for entry-level jobs. Ismail-Saville said South Africa would benefit from a decentralized workforce in which jobs are created in developing parts of the economy. “By creating employment in the agriculture sector, salaries and skills are retained in these regions, contributing to economic development. If we create 1,000 entry-level jobs in regions like Limpopo or towns like Nelspruit, we put R42m into the local economy."